The Jaycar desoldering station is a good low cost unit, but the case fan is ridiculously loud. The fan was originally being supplied 18V with the pump not running (way over voltage), dropping to about 13V when the pump was running. 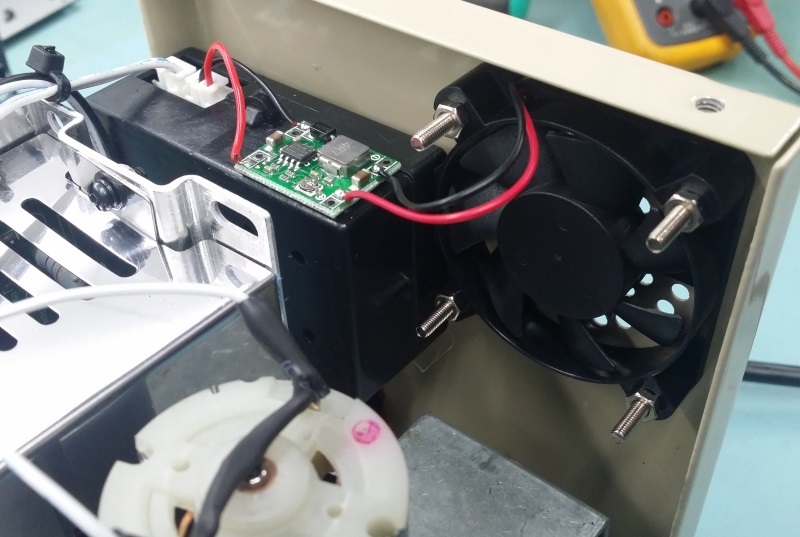 I replaced the existing fan with a ceramic bearing type (1.1W 12V 50mm) and added a small DC-DC converter module to reduce the fan voltage to a constant 10V. The unit is now whisper quiet when idling with the pump being the dominant noise source. Even if you don’t replace the fan, adding the $1 buck regulator makes the unit so much better to use.